Cashmere sweaters are a staple worth a slot (or more!) in any stylish wardrobe. This material is known for its soft feel and ultra-luxe price tag, and sweaters have a reputation for being particularly classic and simple. If you know where to look, however, you can find trendsetting sweaters in cashmere material, too. Whether you want something classic to wear season after season, or a right-now option, you'll find something below. Take a look at a round up of some of the best cashmere sweaters to wear all season long. 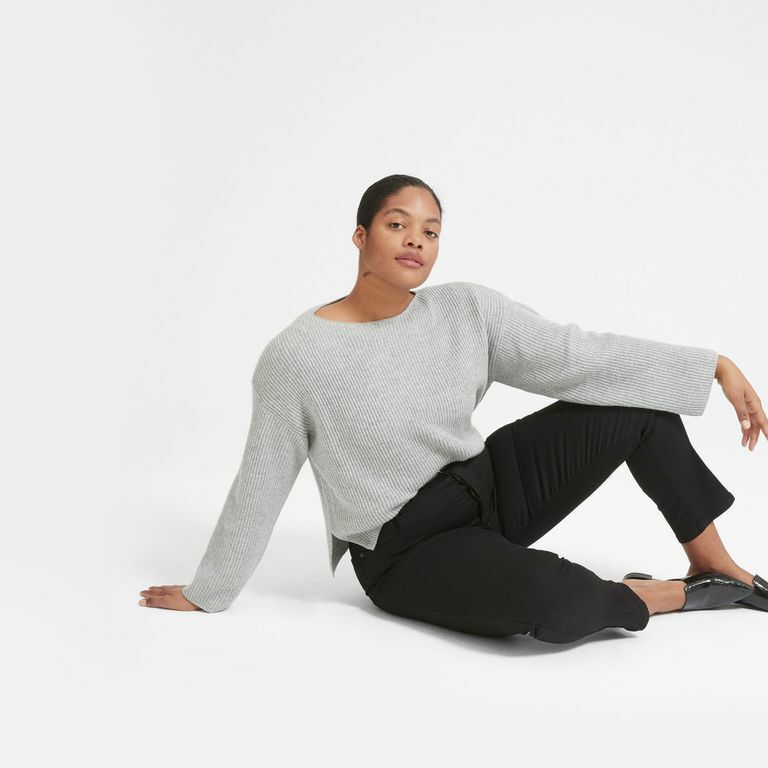 Everlane carries a wide and beautiful variety of cashmere sweaters. You may find it hard to choose! Start with the Everlane Cashmere Rib Boatneck, which is made of Grade-A Mongolian cashmere and features an open boatneck that shows off a bit of neck. The sweater's texture is a luxurious, ribbed knit, which is different than most cashmere sweaters. The notched open seam at the hip is also a great style asset and creates a great fit for those with a pear shape. Also different is the relaxed fit and loose sleeves. It's dreamy, cozy, and stylish, too! Available in three colors at $155 each. Isle of Skye Cashmere specializes in selling their own brand of cashmere sweaters which are knit in Scotland. This company knits and hand-finishes each sweater in the same mills that make cashmere sweaters for Chanel, Louis Vuitton, and Hermes and their attention to detail and overall quality is top notch. Choose from styles like V-neck, crew neck, sweater sets and more. This Katherine Classic Turtleneck is a staple you can wear year after year. Choose from several colors like this sugar pink and forget me not blue and many more. It's made with 2-ply Scottish cashmere yarn and comes with a $295 price tag, and according to the site "you’ll be glad to know too that Isle of Skye’s cashmere softens and becomes fuller with wear, so this Katherine will just get better with age." Worth the investment! Available in sizes XXS to 3X and retailing at just $98, this J. Crew Everyday Cashmere Cropped Cardigan may seem like a dream come true. It's just one cashmere sweater option from this retailer, and it stands out for its shrunken torso, ribbed neck, and bold buttons up the front. And in several colors options, it's a great layer to add on to a dress, over a tank or shell, or even on top of a button-up blouse. Plus, the rich gold color here is a far cry from most subtle cashmere sweater options. 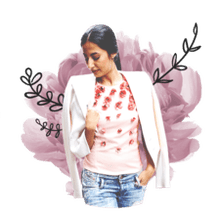 Zara is known for supplying a mix of great basics and interesting statement pieces, and this Limited Edition Cashmere Coat is a great combination. It combines 100% cashmere in classic and subdued gray taupe, with the dramatic length of a coat. Wear this on chilly days with a leather belt, a scarf, and tall boots. Or lounge around the house in cashmere luxury. The ribbed collar is a nice touch. Retailing at $299 there are just a few of this beautiful cashmere sweater to go around. Get it while you can! Classic meets classic in this Leopard Cashmere Sweater by White + Warren from Anthropologie. This sassy sweater is a sure staple for years to come. Cashmere sweaters never go out of style and when washed and worn properly can last a long time. And leopard is often seen as a neutral and comes back en vogue over and over again. Plus, the simple crew neck and contrast ribbed neck and sleeves keep things elegant and clean. Retails for $285 in sizes XS to L.
A "classically casual shaker knit" gets an upgrade in super soft cashmere in this Eileen Fisher Crewneck Shaker Cashmere Sweater, available at Nordstrom. The texture is super rich, as well as this dark red "lacquer" color. Combine that with of-the-moment blouse sleeves and dropped shoulders for a truly modern look. This brand is designed to be worn oversized as part of the style and look so size down if you want something more fitted. It also has a strong commitment to ethical business practices, like fair trade and more. Retails for $398 with plus size options at $418. Invite in a little whimsy to your cashmere sweater collection (because we all need a collection of cashmere, after all) with the Aqua Cashmere Scallop-Trim Sweater. The dainty trim at the neck and bottom of the sweater gives a punch of trendy style to the soft-spun cashmere material. And while this vintage pink is a demure selection, keep a look out because there are more colors to choose from. In fact, Aqua is a Bloomingdale's exclusive brand and has many cashmere sweaters to choose from. Everything from funky colors and bold graphic-tee style sweaters to classic crew necks and zip up hoodies—all in ultra cozy, soft to the touch cashmere. This particular style retails for $198 and is available in sizes XS to L.